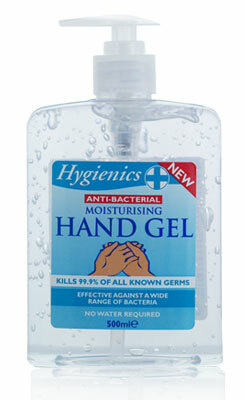 The Hygienics Hand Gel range is similar to products used in hospitals. It's alcoholic formula is anti bacterial and moisturising, ensuring germs and bacteria are killed fast. It is effective against a wide range of bacteria, killing 99.9% of bacteria, ensuring you and your family are protected.